Urge Your Lawmakers to Reject Gun Control! House File 9, as GOA has repeatedly warned about, would allow the police to strip a gun owner of his Second, Fourth, Fifth, and Fourteenth Amendment constitutional rights with no due process whatsoever. So when state Senate Republicans, understandably, declared this Third Reich-type legislation “dead,” Democrat Speaker Hortman decided to take the whole public safety budget as a hostage for her demands that Minnesota pass this New York-crafted anti-gun monstrosity. The other gun control Democrats are pushing is House File 8, a radical bill that will criminalize practically every private transfer of a firearm. Incidentally, we’ll bet these are the very same Democrats who were crawling up the wall when Donald Trump wanted to use a “money bill” as a vehicle for funding for a wall. 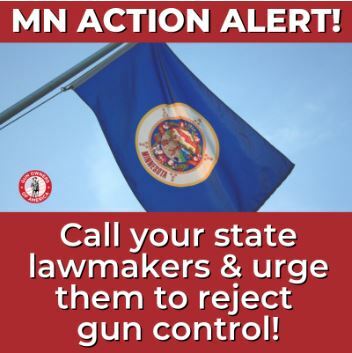 But, since hypocrisy is pretty much the currency of politicians, Hortman had no problem with sticking Gun Confiscation/”red flag” legislation onto the public safety budget, thereby putting the safety of everyone in Minnesota as a hostage to Hortman’s ransom demands. Make no mistake: Hortman’s dangerous and slimy hostage-taking cannot be allowed to succeed. Period. So please call your state senator and representative (above). Tell them you oppose Speaker Melissa Hortman’s effort to hold public safety hostage to her repressive anti-gun demands. 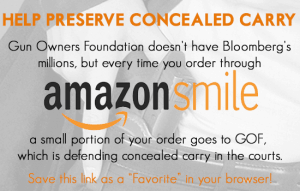 Be sure to express your opposition to Gun Confiscation Orders and Universal Background Checks!